Our regular readers will know how much I love birds and animals. I will painstakingly plan safaris, drive to far flung locations and walk through swamp lands to get a few feet closer to wildlife. 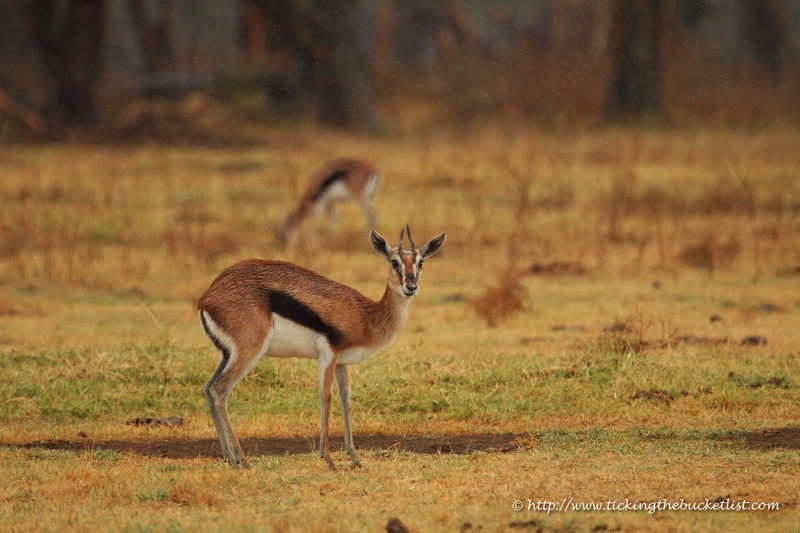 I am not fascinated only by the big five… herds of gazelles fascinate me just as much. While Masai Mara is the place to see the four legged beings, Lake Nakuru National Park and Lake Naivasha National Park are the places to see colourful winged beauties. 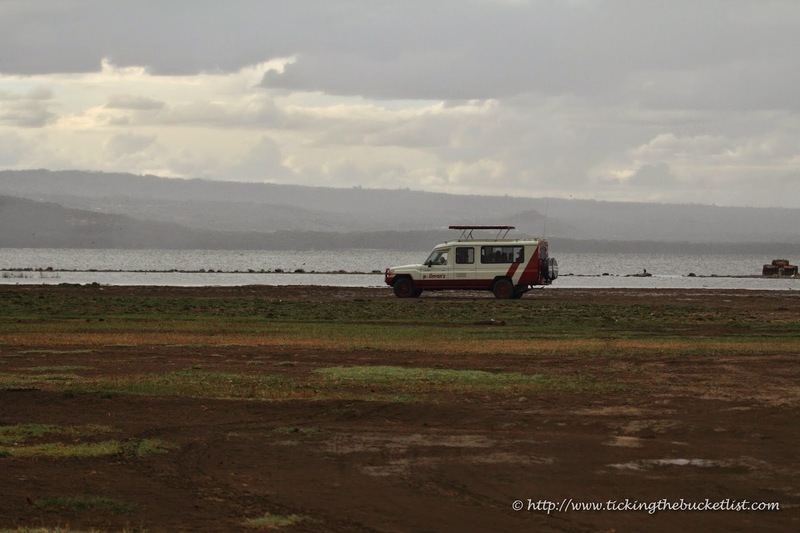 Lake Nakuru National Park was my first destination in Kenya. This national park is famous for flocks of flamingos. Ornithologists rave about this place! This was reason enough for me to include the park in my itinerary. My earlier post on Bhigwan says enough about how much I am fascinated by these pink beauties. Every year, when they migrate to the swamplands around Mumbai and Pune, and I pay them a visit. Last year, it was the lakeside at Bhigwan and this year, it was Kenya. Thousands of flamingos flock to marshy banks of Lake Nakuru. During the dry season, the number can go as high as a million! 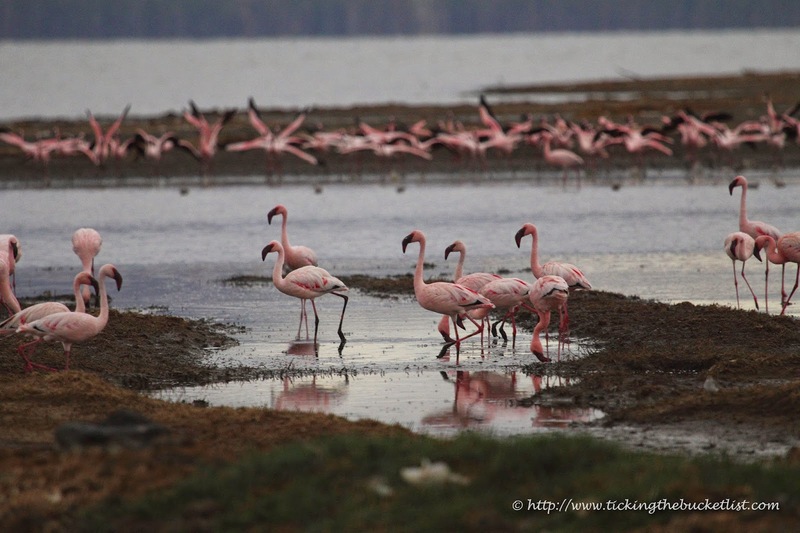 The flamingos come to peck on algae that grows in the alkaline water of the lake. As the water levels goes down, a greater portion of the swamp is exposed. To the flamingos, this is like serving delicacies on a platter… they are obviously drawn to the food fest. They continue to be around until water levels rise and accessing the algae becomes difficult. 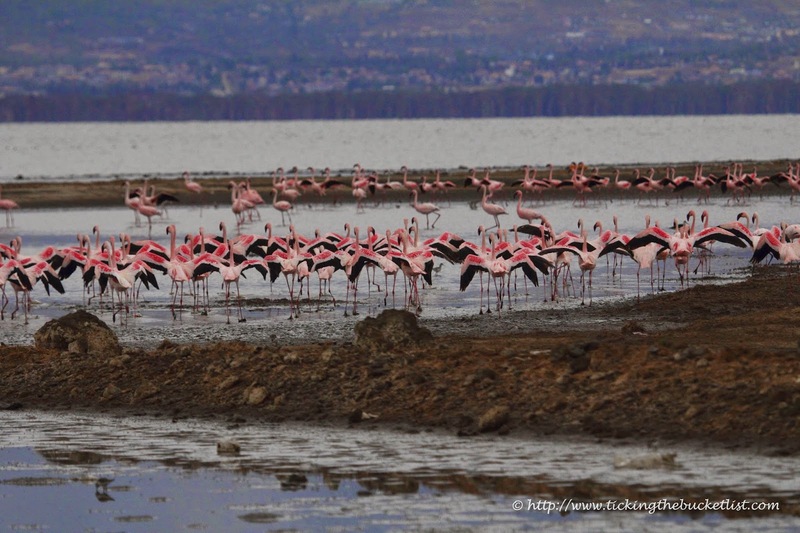 Apparently, since 2014, the water levels in Lake Nakuru have been on the rise and the population of flamingos in the national park hasn’t reached the million mark that it did in the past. I got to know this as I checked into the wild life lodge. I must confess that I was a little disappointed. 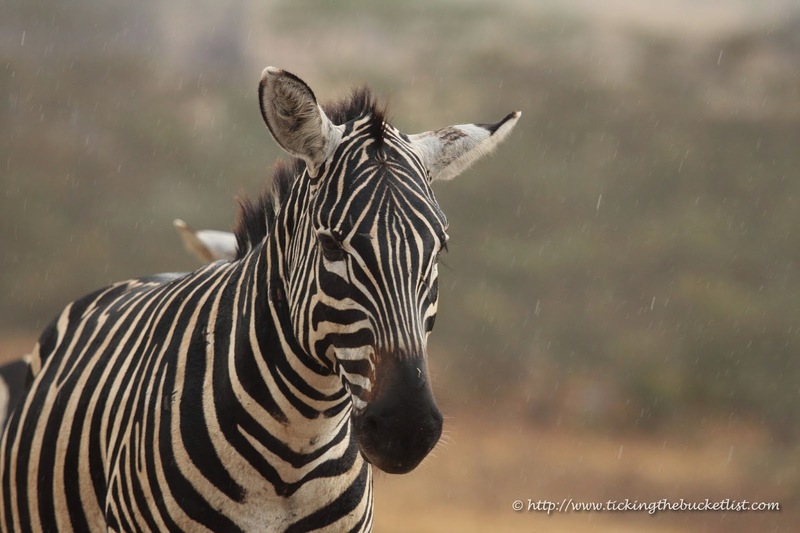 A thunderstorm brewing, just when I was about to get into the safari vehicle did not lift my spirits either. I wasn’t sure if I would be able to sight any birds in the pouring rain, let alone the flamingos. One can’t fight the forces of Nature! As the thunderstorm mellowed down to a drizzle, my guide took me to the lake. No flamingos close by, though there was a flock at some distance and I needed to use my binoculars to see them. I strained my eyes through the glass to see them and wondered if it was actually worth visiting the park. Maybe I should have spent the day in Masai Mara? Amidst the gentle pitter patter, I heard wings flutter! I turned around, put down the binoculars and the camera and just stared at the huge flock of flamingos that had settled less than fifty meters from me. I wanted to watch them crane their neck and strut gracefully across the lake… take a mental picture before I try to capture them on camera. The birds gave me plenty of time to click as they moved around the marshy area, before taking off, when I finally saw their red and back wings! 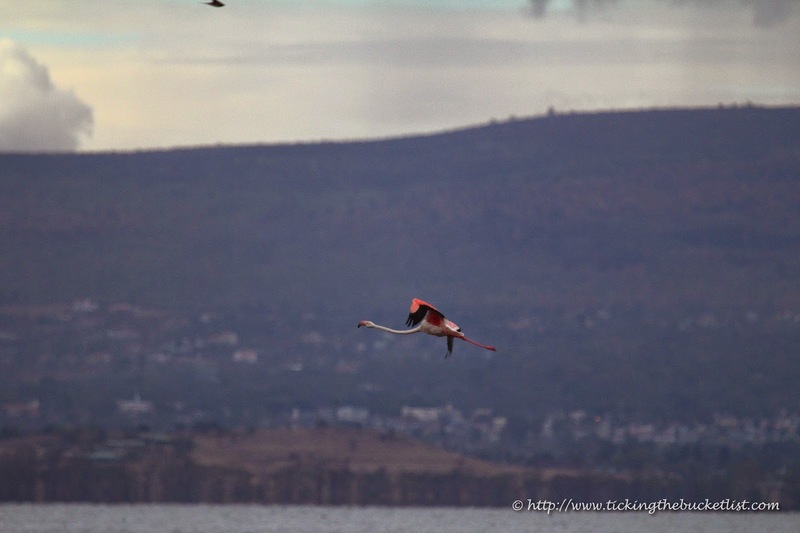 Watching the flamingos get closer…. Until I set off for my first safari in the national park, I did not know that it is a conservatory for rhinos. The park was declared a rhino sanctuary in 1983. Rhinos did occur naturally in this area and were introduced here in line with conservation programs. 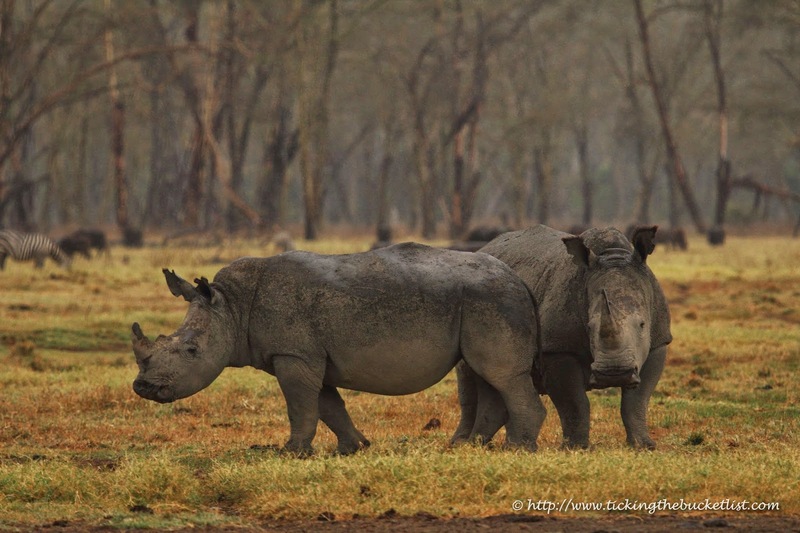 The Nakuru National Park is home to both the black rhino and the white rhino. The black rhino has a pointed lip that allows it to tear twigs, fruits and tubers. They are usually solitary beings and sighting one is not an easy take. On the other hand, the white rhino as a square lip and is a grazer. They are usually sighted in small groups. I saw four white rhinos grazing on soft grass after it had rained. They sure did seem like a busy bunch! White rhinos usually walk with their head down, close to the grass as they are almost always grazing. Waiting for one to lift his head up to pose for a picture surely did take some patience! The black rhinos walk with their head up as the tear fruit from bushes and trees… not as camera shy as their gregarious cousins! Lake Nakuru National Park is only fenced national park in Kenya, not to keep the animals in, but to keep the poachers away from the rhinos! 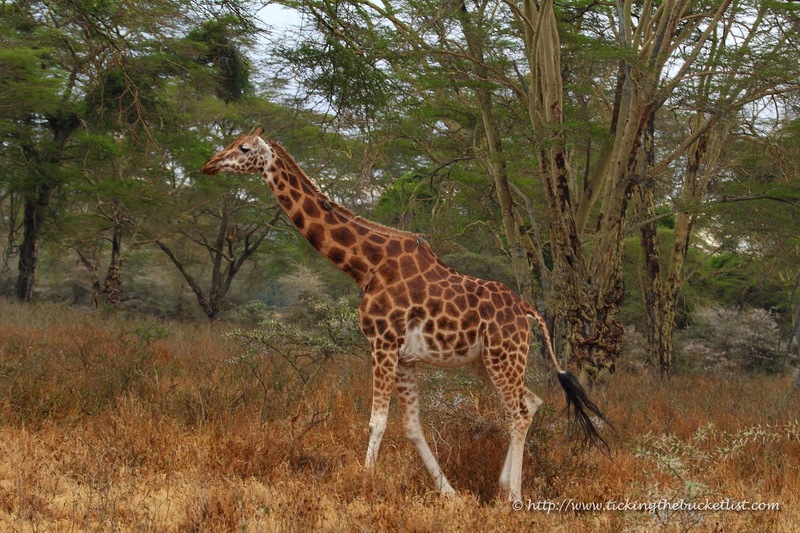 The national park is also home to the most endangered giraffe subspecies, the Rothschild’s giraffe. I was lucky to sight one, which looked distinctly different from it’s more abundant cousins, especially the pattern on its coat. While trying to sight the cats at Lake Nakuru National Park, do not ignore the trees. A pride of lionesses, who love climbing and sleeping on trees call the national park their home. The population of leopards also gives a fair chance to sight one. I was’t lucky to see any of the cats on my safari, though I did see herds of water buffalos, zebras, warthogs, baboons and gazelles. Lake Nakuru National Park is the perfect warm up before hitting Masai Mara, the land of all the wildlife action in Kenya! Many thanks to Absolute Holiday Safaris in helping me plan my four day trip to Kenya. I had an excellent guide, called ‘Animal’ by the locals. He knew so much about the wildlife and made the safaris an adventurous and learning experience! What not to do on a Safari? 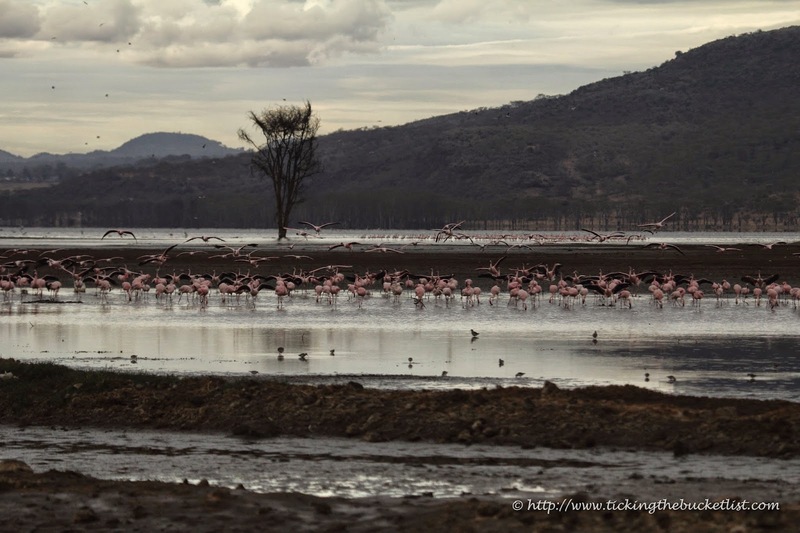 Great post,awesome pictures and well shared information that is very helpful for what to expected if you plan to have a visit to Lake Nakuru.We really need great writers and bloggers like you who are willing to share ..the only the fact on the ground. Just to add to the post,Lake Nakuru is really beautiful during dry season when the water level is low as many many Flamingos are always available,Game drives are done smoothly and great number of wild animals can be spotted.Since we cannot avoid it and is a great destination bear in Mind that everybody as his/her luck to spot different species.You time is the best. Thank you so much to http://www.tickingthebucketlist.com for wiliness to share this great and awesome information. Honestly this is really amazing,you had only 4 days and you have a lot to share,This information is really true apart from the weather changes which we cannot comment about.For Flamingos,Rothschild's giraffe and both Black and white Rhinoceros you have to include Lake Nakuru on your Itinerary. The Fauna here is also really great,Don't miss a great adventure at all,As well upgrade you accommodation and stay inside the park with animals.Precaution is also good as their predators mostly the Cat Family. This is really remarkable.Thank you. Great pictures Sonia, and a very informative post too.